I am going to write a FAQ using interesting and/or weird questions that people ask on Google. These questions and answers will largely concern wines, vines, vineyards, grapes, accessories, etiquette, and various esoteric art and literature references. And remember that a lot of these questions are [sic]. Send me questions you've typed into google that google couldn't answer. Q: How do you convert from tons/acre to hectoliters/hectare? A: Technically, you can't. Hectoliters are a measure of volume while tons are a measure of weight. To accurately convert from volume to weight, you have to know density. Density, while it can be generalized will vary based on grape varietal, maturity, sugar content, temperature and even distance from sea level. While some of these variables are negligble, you can't have a true Universal conversion from hL/h to tons/acre. That said, the density of red wine tends to be around .9 (where water is 1) and the temperature it is kept at tends to be around 70 F. So you can usually estimate that 1 hectoliter of red wine per hectare is approximately equivalent to 0.183 U.S. Tons of red wine per acre. A: Even for a lot professional winemakers, the answer is from a vineyard. Lots of wine (the majority of wine in the world) is made from grapes that were not grown on the vineyard proper. Almost all winemakers are insourcing their musk and it's sort of tragic. You can make delicious wine with the right grapes, but the best way to guarantee that you've got the right grapes is to grow them yourselves. If you buy a bottle of wine that doesn't say "made, produced and bottled on the estate" it means the wine was made from another vineyard's grapes. A lot of the time it just says "estate bottled" which essentially means nothing. It can say "mise en bouteille au chateau" which is a fancy French way of saying nothing at all. For a casual experiment at home, you can get grapes from anywhere. Grocery store grapes aren't the same kind that winemakers use, but let's face the fact that your finished product isn't going to be stunning Robert Parker. Alternatively, there are some places that offer entire winemaking kits although it should be known that homemade wine is not as satisfying as microbrewing. If you make beer or cider at home, you can get a very delicious final product because it's largely dependent on the chemical process of brewing. Wine is really nuanced and it derives its flavors from the quality of the ingredients to a degree that makes homekits a little different. That said, it's probably a lot of fun to do stuff at home. I haven't used the Grand Superior winekit, but I like that their artwork looks like a cheesy 1980s Dungeons and Dragons manual. Q: Why don't some people have vineyards? A: This is a really cute one like all those people typing "who is god" into the Google query bar. Some people can't afford vineyards. Some people don't want vineyards. And sometimes, bad things happen to good people. I don't really have an answer for this question, but sometimes, the real stars of the inFAQ are the questions and not the answers. A: You don't have to be classy to drink fine wine. But drinking fine wine might make you classy. I suppose this person might have been meaning to ask about glasses and not classes. The common answer is that you've got two distinct glasses for the appreciation of red wine and a generally different third design for white wines. Red wine glasses are commonly referred to as Bordeaux style or Burgundy style. The Bordeaux glass is designed for big wines. It's tall, so that the wine travels down a relatively uncurved slope and shoots straight to the back of your mouth and the base of your tongue. You generally want a glass large enough for the wine to breathe and for the rich aromas to be able to waft around in the glass. Some folks say you want a glass big enough for your nose to fit in comfortably while you sip. The Burgundy glass should preferably be large as well, but its shape is more bowl-like. The cup is squatter and the wine has to traverse a quickly changing slope before ramping into your mouth and being deposited on the tip and sides of your tongue. The bowl allows the strong aromas to be appreciated while simultaneously honing in on the flavors of lighter, brighter elements of varietals like Pinot Noir. White wine glasses can also feature a lip that plops the wine into the front and sides of your mouth where you can better appreciate the sweetness or acidity of the wine. This focus along with a glass designed to help control temperature can make a wine feel very crisp. Winos will explain that the smaller size and somewhat closed shape of a white wine glass help it stay cool because of a reduced surface area to volume ratio and minimized contact between air and wine. Ultimately, you should remember that these are explanations based on tradition and etiquette. If you have a meal that can't stand up next to a really big wine and your guest brings over a big California Cab, you might want to consider serving it in the Burgundian glass just to accentuate a different part of the Cab. Cabernet Sauvignon has a lot of strong fruit aromas that you can focus on despite the fact that you might usually value it for a different, competing quality. Q: Why do wine glasses have stems? A: There are two things I want to point out. First, the stem is useful because you want to hold a wine without warming it up. Holding it by the cup like a brandy snifter is going to heighten the transfer of body heat to the wine. Second, there are wine glasses with no stems. So, clearly, some people don't swear by the "you gotta hold your crystal by the stem" rule when drinking wine. Etiquette states hold it by the stem. Practicality states do what you want to do. I actually hold it by the base (not the stem or the cup) because I'm more comfortable doing that. Sometimes, working in the winery, I have to actively try to warm up the wine with my hand before tasting it (since the winery can be very cool in the fall and winter). Some people get stemless glasses because they're easier to wash and harder to break. Some people love their chilled whites too much to drop stems altogether. Do what makes you happy. Q: Why do wine glasses sing? A: When you rub your finger along the rim of a wine glass, you can rather intuitively hit the resonant frequency of the glass. When the glass vibrates from the intermittent force of your finger pressing against it, you can hear a musical note. The frequency depends on lots of variables and different glasses will sound different, but you can tune a glass by adding and removing liquid. If you put more liquid in a glass, the frequency and note will go down and be lower as the liquid absorbs more of the vibrations and sort of acts to increase the mass and corresponding resonant frequency of the glass. This doesn't just happen to wine glasses. You can make enormous concrete bridges buckle if the wind is blowing hard enough to push the bridge to that resonant frequency. Alternatively, you can pull off exceptionally nerdy pranks on your co-workers. Q: What is dutty wine? A: Hehe, Dutty Wine has very little to do with wine. It's a dance widely (wildly) popularized by a Tony Matterhorn dancehall song by the same name. The dutty wine usually involves some pretty slick arm and head twirling while the dancer flaps their legs in and out like butterfly wings. If you have trouble patting your head while rubbing your stomach, it should be no surprise to you that some people are calling the dance a health hazard. There's a really tragic news story about a girl who dies while Dutty Wining one faithful morning. Red wine is good for your health and spirit. Dutty wine is good for your spirit but apparently lethal. A: The academically viable historical texts do not, to my knowledge, attribute the invention of wine to anybody. One of the great things about wine is that it probably happened in a lot of different places independently and by accident. If you leave a a fruit over ripen, it can ferment right on the vine. The chances are wine was just a happy accident that was delicious enough to inspire people to intentionally repeat the accident. If we want to look at mythological texts, you've got a variety of explanations for where wine comes from. Dionysus was said to have created wine on Mount Nyssa and tended to vines around the world. It's neat that the god of the vine had such a prominence in Greek and Roman mythology because it reflects the relative importance of wine. Apple orchards and the god of olives weren't nearly as common. But Dionysus represents more than just wine, since he is a god of libations. Libations can bring us a liberty of spirit and mind and they can make us simpler and more child-like (liber is a Latin word for child). This freedom from restraint is repeatedly portrayed as good in moderation but dangerous in excess. Too much freedom is like a sociopathic madness. Many times, an adult should not act like a child. Or so go the legends. There's also a few translations of the Old Testament that read Noah was the first to plant a vineyard (Genesis 9:20). A: A lot of people have a very contextual knowledge of sulfites (like their common knowledge of electrolytes). We sort of define sulfites as the thing people say is in wine. And electrolytes are what your body need. Why they're in wine or why your body needs them never enters the average conversation. Well, that is about to change. 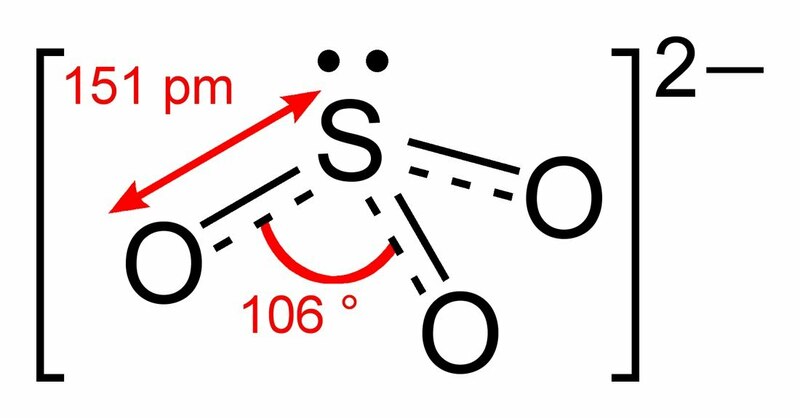 I want to start the discourse off by saying that sulfites stink. They literally smell like rotting eggs and if I work with them without taking precautions, I get nose bleeds and my eyes tear up in a really painful worse-than-rubbing-onion-all-over-your-face kind of way. When people say sulfites are harmless, they mean "sulfites are harmless when encountered in tiny quantities like in wine or dried fruit." If there is a drip going where one drop of a 90% water sulfite solution leaves a container every 15 seconds 10 yards away from our work station, we still have to rotate around the station just because the corner that's closest to the sulfites is really irritating to your eyes, nose and throat. That's why we put virtually no sulfites in our wine. They're really really bad in excess. Sulfites are a compound of the sulfite ion SO32−. That's a Sulfur molecule with three Oxygens floating around it. The -ite ending is a common chemistry suffix that shows where the compound sits in the usual scheme of this anion. Sulfate would be SO42−. There's some confusion where I work because we call the hydrochloric acid solution "sulfates" even though sulfates are technically only part of hydrochloric acid. I think it's because once you mix it into the water solution, things break down into sulfates and something else, but I'm not really sure. Sulfites are used as a preservative in products like wine and dried fruit. The US government requires that any product with more than a mere 10 parts per million. These trace quantities are supposedly okay for anybody who isn't specifically sensitive to sulfites. Interestingly, no scientific or statistically significant data links sulfites to red wine headaches. There is a fair amount of conjecture about the sulfites working in conjunction with something else in red wines that doesn't appear as frequently in white wines or dried fruit. The theory has no scientific proof yet, but runs along the lines with the idea that caffeine absorption varies based on tannins, acidity, and other variables in tea. Another fun fact: for the FDA to allow a wine label to read "No Sulfites" it must have less than 1 mg/Liter of sulfites in a lab test. No Sulfites added is a more common label adornment (but still in the vast minority) since yeast produces sulfites naturally during the fermentation process. Remember, we're still talking parts per million. Q: where to buy red wine without sulfates? A: As stated above, sulfates are SO42−. What this person probably wanted to know is where to find wine without sulfites which I will repeat is virtually impossible. At best you get wine with less than 1mg/L and this is labeled as "No Sulfites" and usually you'll find wines labeled "No Sulfites Added". Sulfates can get up to 250mg/L according to studies used by the CDC and EPA. There are apparently sulfates in the drinking water in the United States. I think there are also sulfates in white wine because some studies point to the notion that protein hazing in white wine might be caused by sulfates. I can't find a ton of information on this though. Q: What do you call a French vineyard? A: Snooty. Haha. Oh. I kill me. If the question is what are vineyards called in French, the answer is vignoble. Q: What do you call an old world vine? A: I'm not sure. But what do you call an old cognac? Grandma Nier! I guess I could've winged it on the old world vine too. What do you call an old Bordeaux vine? Grandma'rgo. That's pushin' it. Seriously, I don't think there's a word for old world vine or old world varietal or old world grape. You just have those phrases. Q: Can you make wine with grocery store grapes? A: Here are some free instructions on how to make bad wine with grocery store grapes. The book to the right is supposedly full of really good recipes for homewines. The ebook costs 20 bucks and he tells you how to make some fun wines. I've never actually tried to do this with grocery store grapes, but I'm gonna say it's mostly a for fun thing. The grapes they sell at stores for eating are very different from the grapes we grow for wine. If you really want to be a goofball, you can make carbonated fruit which turns out like a mushy pop rock salad. Q: What is the difference between New World and Old World wines? A: A very objective way to talk about it is that wines cultivated outside of traditional areas of Europe is a New World wine. If you're looking for more substance, I've got a big tangent for you. The terms new world and old world are a little limited and it usually depends on the context and who is using the terms. I feel comfortable generalizing about a few things, but they're just generalizations. They're by definition oversimplifications, and I don't want anybody getting offended. The important part is that you put wine in your mouth and that it feels nice. I think Old World wines tend to strive for a very specific taste and experience. They tend to require a very specific and rigorous process to arrive at an incredible finished product. My definition of New World is a little more controversial. Some people rely on somewhat silly distinctions. Like Old world blends whereas New world does single varietals. Old world has labels with boring chateaus and apellations you've never heard of while New world has pictures of farm animals or cute puns. The truth is that New World is a classification somewhat analogous to the protestants of the Christian world. Anything that isn't strictly Old World is New World. That said, there are a lot of different ways to be Not Old World. Here are a few popular schools within the protestants: You've got your flavor wines that are all about making a wine taste ridiculously flavorful within a short timespan. Like "Lots of pepper or tons of fruit; drink it by next November." 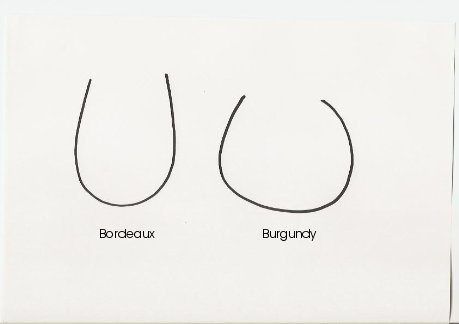 Sometimes, you've got your super-double-plus-big wines which are about making your wines very very big (largely in response to the trend in American purchasing to look for bigger dry wines [itself laregly seen as a trend caused by Robert Parker's affectation toward those sorts of wines]). Some people make lighter crisp wines that capture the acidity of the grape in a pleasant refreshing way. Another very popular school of New World wines is bad wine. Some wineries are making thin, sugar-laden wines that aren't fruity like grapes are fruity but are sweet and gross like grape soda. And sometimes these wines masquerade in kitschy labels with $30 pricetags so you figure HEY, THIS HAS TO BE ONE OF THE GOOD NEW WORLD WINES. But no. The way I see it, New World really just means not made in the style and location of the Old World. Where does O'Vineyards fit? It's not really in a prominent New World school, but it's definitely not traditional Old World. That's why we say New world wines from Old World vines. We're some crazy hodgepodge. There's no reason to reject EVERYTHING about old world wines like the importance of terroir, tradition, and blending. Just like there's no reason to reject the New World's admiration of wines you can drink within a couple years or wines you can drink without a seven course meal. Q: Does French McDonalds serve wine? A: I'm pretty sure they don't. That being said, so many people have told me that they have wine on the menu, it might vary from location to location. The corporate French website does not include it in the core menu and does not provide any nutritional information for wine. They occasionally serve other "French" items like McCroissants and a smattering of McPatisseries like a Mandise (a genoise, if you'll call it that) or a McCrispy. On a more Italian note, French McDo carries a Happy Meal Panini. No wine with that either, but as of February 2008, it is served with a FOOT or WINX theme. Foot refers to soccer. Winx are like Bratz but more eurotrashy. Additionally, French people often call it "McDo" (pronounced: mac dough). They tend to have multiple stories (sometimes three or four floors) and very different facades to conform to the space and permitting constraints in French cities. Q: How do they print the hands on Meeker wines? A: An Opici rep talked to me about this today. He said that, originally, Charlie Meeker and his winemaker did all the handprints themselves. Today, they have a lot of friends and employees who help, but they still supposedly handprint all the bottles with winery and vineyard staff and ownership. That's a lot of bottles, but he says there's no machine or Indonesian sweat shop involved! Pretty cool. Q: What are the different types of wine? Learn more at AmazonA: Well there are a lot of different variable. My good ol' dad would answer that there are 2 types of wines: red and white. And his favorite kind of wine is the kind that is in his glass at the moment he's asked. A lot of the time, if I push people they specify that they are asking for varietals. There are hundreds of varietals and even though there are lots of variables that affect the nuanced flavors of a wine, varietal plays a very important part. It would not be practical for me to list hundreds of varietals here, but there are resources that map things out for you like the DeLong varietal chart linked to the right. Q: How old do you have to be to serve wine in Florida? A: 18. Hilariously, you can pour wine three years before you're allowed to drink it. I guess that's so you have some practice at putting it in glasses without spilling before you get to start drinking. I'll work on putting up an index of other states' laws. Uhm, none of this is legally reliable. Contact a local ATF or DABT or DABT-equivalent representative in your state for actual legal advice. A: The word for a barrel-maker is a cooper. In French, they're are referred to as tonneliers or tonnelier in the singular form. What kind of wine is good for relaxing? Did people actually stomp grapes to make wine? Who designed the first corkscrew?